Colin McDevitt is a true specialist in Personal Injury, Clinical Negligence, Inquests and Employment Law. Colin started out in a scientific career studying Biochemistry and Physiology at University and working in pharmaceuticals for a number of years before being called to the Bar in 1995. His legal practice benefits from his analytical and evidence-based approach and is complimented by a commercial insight from his time in industry. He is an expert with finances, calculations and Schedules/Counterschedules of Loss. Colin is a popular and regular speaker at the many events that 3PB is involved in. He was the Judge in Mock Trials in Cardiff for a national motor insurer in a case involving disputed liability and a credit hire claim in front of an audience of several hundred lawyers and case workers. He facilitated an open workshop for a firm of solicitors in the West Midlands, whose clients benefitted from round table discussions to solve the problems their businesses were encountering. He has also been an advocate in a series of Mock Tribunals in which he demonstrated to an audience of small and medium enterprises the skills and techniques needed in a tribunal. He has presented a series of seminars to HR professionals for which he received the following feedback, "Thank you very much for your support with our seminars this year which were a great success and very well received." He also lectures on legal topics such as new legislation and recent case law developments. 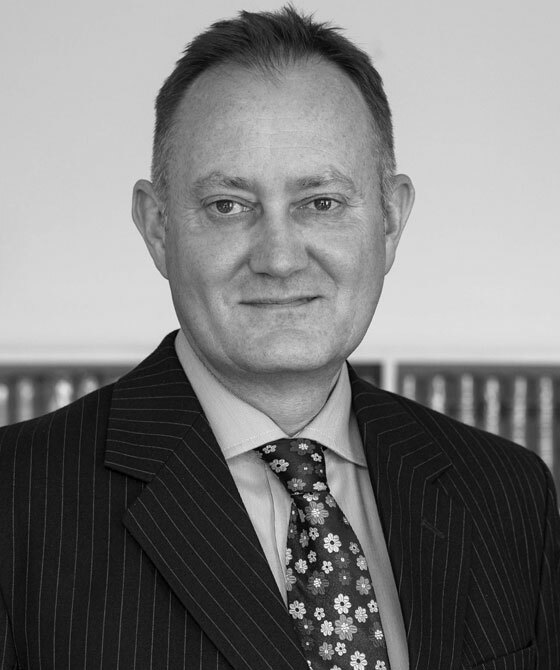 Colin is an accredited mediation advocate who has represented parties in Counsel to Counsel negotiations, formal Mediations (using a Mediator), Judicial Mediations and at settlement meetings at ACAS. Colin McDevitt is a keen cyclist and a volunteer Expedition Trainer for the Duke of Edinburgh’s Award. He is a junior rugby coach and plays bass guitar. Ancillary matters including: Extension of time for issuing a claim form; Limitation; Contribution; Causation (including medical causation); Costs; Costs-only proceedings. A claim in which the claimant had presented with papilloedema but who went blind in both eyes at the age of 20 years. The claim is that the claimant’s GP failed to refer him with sufficient urgency for specialist investigation and that the specialist centres to which he was eventually referred both negligently delayed proper treatment by way of lumbar puncture or other means to reduce his raised intracranial pressure. Causation is disputed and the claim is, naturally, of significant value given the claimant’s youth and the effect of his disability. Representing the claimant who underwent a trapeziectomy operation on her wrist to relieve symptoms of arthritis. Due to a surgical blunder the wrong bone was excised (the scaphoid instead of the trapezium). The Trust denied liability on the basis of the inherent risk of scaphoidectomy when undergoing trapeziectomy. After receiving the Particulars Of Claim which argued a lack of informed consent as well as complaining about the surgical technique, the trust conceded liability. The claimant underwent numerous pain blocks, suffered carpal collapse and was treated by way of a 4 corner fusion to stabilize her wrist. This latter procedure was unsuccessful and the claimant had to undergo wrist arthrodesis. The injury is significant with significant ongoing problems. Acting for the estate, infant daughter and husband of a deceased young wife and mother who was a lupus sufferer. She attended A&E complaining that her throat was “closing up” but was discharged home. Within an hour she suffered a cardiac arrest and fell into a coma. After living in a persistent vegetative state for 18 months she then passed away. Whilst breach of duty (the discharge home) was admitted, the issues of causation and quantum are being litigated. A very high value claim. A young woman was subjected to an over-zealous vaginal investigation shortly before giving birth which caused a third degree perineal tear, resulting in faecal and urinary incontinence. She is not likely to return to employment due to her physical injuries and resulting depression. Breach of duty, causation and quantum was initially disputed but, after pleadings, liability was admitted. The claimant has a significant risk of deterioration in her condition. Provisional damages are claimed. Acting for the claimant who acquired a non-negligent bacterial infection after undergoing an elective total hip replacement. There was then a negligent failure to timeously diagnose a gram negative infection followed by a further negligent delay in performing a radical debridement and exchange of components. In addition there was treatment of the E.coli infection with an antibiotic to which the organism was resistant. Causation and quantum are disputed. The claimant has a life-long need for antibiotic therapy and the prospect of completely losing her hip joint. Her business failed and there is a complex claim for loss of business, dividends and earnings. The claimant was prescribed oral ciproflaxin antibiotics which caused the rupture of his Achilles tendon. The claim arose from a lack of informed consent due both to the absence of a warning of the risk of tendon damage and to the absence of advice to immediately cease taking the antibiotic if symptoms suggestive of tendinitis are experienced. The claim was successfully compromised. Acting for the claimant who underwent cosmetic surgery procedures of liposuction and abdominoplasty. There were many allegations of negligence including a breach of the heparinisation protocol by the continued prescription of the anticoagulant Clexane, a failure to review Clexane administration after substantial blood transfusion, the provision of a substandard discharge letter and a delay in re-admitting the claimant to hospital for debridement once the wound infection was suspected. The claimant was left with bilateral dog ears, extensive scarring and a loss of the claimant’s belly button with a revised belly button being anatomically misplaced. The claimant required 4 remedial surgical procedures. The claim was strongly resisted but it was compromised a month before trial. Representing the claimant who underwent elective total abdominal hysterectomy and bilateral salpingo-oophorectomy for the treatment of endometriosis and a large ovarian cyst. As a result of the procedure the claimant developed a vesico-vaginal fistula. During the said procedure no record was made of any adhesions or endometriosis involving either the bladder or in the region between the uterus and the bladder. Towards the end of the hysterectomy and closure of the vaginal vault there was bleeding from the bladder base and additional haemostasis was required to the bladder base. After diagnosis of the vesico-vaginal fistula, the claimant underwent laparotomy with closure of the vesico-vaginal fistula. The allegations of negligence included: poor surgical technique (the surgeon tore the claimant’s bladder muscle during mobilisation of the bladder off the cervix as a result of the dissection being in the wrong tissue plane); and the surgeon used excessive electrodiathermy to stem the bleeding from the base of the bladder, causing avascular necrosis. The claim was successfully compromised. A claim for alleged negligent treatment when the claimant underwent a total abdominal hysterectomy for the treatment of uterine fibroids. The procedure was carried out via a low transverse laparotomy incision and was technically moderately difficult because of distorted anatomy, mainly due to a large fibroid on the right hand side. The operation notes made no mention of the ureters. Within a week of discharge from hospital the claimant was in severe left sided groin pain caused by damage to an ureter. The claimant developed a number of urinary tract infections. The claim was that the total abdominal hysterectomy procedure was carried out negligently because there was no attempt to identify the course of the right ureter during the surgery, resulting in the right ureter being accidentally tied. The contemporaneous operation notes made no mention of the position of the ureter or of any attempt to locate the ureter by palpation or dissection at any time during the hysterectomy. The claim was successfully compromised. Acting for the claimant who underwent a breast-enhancing injection of hyaluronic acid. She claimed she did not give informed consent due to a failure to inform of the risks of the procedure and the lack of any “cooling off” period. The claimant developed encapsulated cysts which required remedial surgery. The claim involved allegations of tampering with medical records and allegations amounting to fraudulent non-payment for the procedure. The claim was compromised 2 weeks before trial. Acting for the claimant who underwent a breast reduction procedure in the absence of a warning as to the risks of fat necrosis if the claimant did not lose weight. The procedure resulted in fat necrosis and infection which required 4 further operations to debride the wounds, close the wounds and cosmetically revise the scars. The claimant suffered pain, distress and anxiety. An administrative failure led to a 6 month delay in the claimant undergoing a hysterectomy which resulted in an aggressive cancer significantly reducing the claimant’s 5 year survival rate. The defendant disputed causation and quantum before the claim was compromised. Acting for the infant claimant who was born 3 months after her father’s death from pituitary adenoma at the age of 29 years. The dependency claim on behalf of the child arose out of the negligence of an ophthalmologist who failed to diagnose the deceased’s condition. Very high value claim. A harrowing case in which a young woman’s motherhood sparked a complete deterioration in her well-being due to the surfacing of her own serious and sustained sexual abuse by her own parents. The claimant was abused for 19½ years, including being raped on a nightly basis from the age of 8 years to 18 years. Her mother committed suicide shortly after she was charged. The claimant had to give evidence against her father in her father’s criminal trial. The claimant made an application to the Compensation Authority as a litigant in person and was awarded £22,000. The claimant then instructed solicitors to appeal the award and Colin was instructed to assist with the appeal. The CICA defended the appeal which raised issues including the correct level of injury (the tariff), the multiplier, discounts to be applied to the multiplier, the claimant’s future capacity for work, the claimant’s need for future treatment and the claimant’s care requirement. The appeal was overwhelmingly successful and the claimant’s compensation was increased to a figure just below £¼ million. Acting for various claimants who were poisoned by campylobacter when eating chicken liver pate. One series of claims involves a wedding celebration in which almost half of the guests were infected, including the bride and groom whose honeymoon was ruined. The bride’s symptoms will last many years as a result of her developing post-infectious irritable bowel syndrome. In the other series of claims the claimants were poisoned when celebrating Christmas and, again, some diners have significant ongoing symptoms. Acting for the 24 year old claimant dental nurse who fell onto both wrists, injuring the ligaments on her dominant side. She required surgical treatment but suffered surgical collapse. Her wrist was plated and showed disuse atrophy. The injury resulted in a permanent disability and restriction in function and pinch strength. A tactical decision was taken to resolve liability issues (including contributory negligence) before those related to quantum (due to the size of the quantum claim). The claim was successfully compromised for a significant figure. A liability-admitted claim with a complex of issues in relation to quantum. The claimant had been made redundant 9 months before the accident and then begun a new business venture on a cash-in-hand basis in partnership with his father. There was a paucity of documentary evidence and a forensic accountant’s report which required critical analysis. Tactical advice was given in relation to the benefit of further medical evidence and the likely outcome of further medical opinion and further advice was given in relation to how the court was likely to approach the claimant’s loss of earnings claim. Ultimately the claim was successfully compromised. The 16 year old claimant was injured when working in a summer job. She had been a gifted sportswoman with a bright and promising future in basketball and karate. The claimant’s shoulder was injured and she underwent several remedial surgical procedures. The injury was complicated by the claimant’s congenitally lax ligaments. All aspects of the claim were disputed. The claim included losses associated with the claimant’s future career as a professional sportswoman and coach and a loss of congenial employment. The claim was successfully compromised for a significant sum. A low value claim but one involving issues of the applicability of the Provision and Use of Work Equipment Regulations 1998. The claimant client severed a nerve in his hand and suffered scarring when directed by the council to collect recycling, including glass. His glove was perforated by broken glass. Neither defendant accepted that they had supplied the gloves to the claimant and both denied they had a duty under the regulations to provide suitable gloves – each blamed the other and they both blamed the claimant for the accident. The claim was compromised shortly before trial with both defendants contributing to the settlement. Acting for the claimant who fell 18 feet from a ladder inside a lift shaft that was being constructed. He suffered a brain and orthopaedic injuries causing cognitive, psychiatric and physical symptoms. There were issues of contributory negligence, causation and quantum. Each side instructed 5 experts to deal with the myriad of injuries. Extensive past and future losses were claimed and the parties attended procedural hearings and a joint settlement meeting. The claim was successfully compromised. Acting for the claimant who was injured in an accident which damaged her spine and caused psychiatric symptoms. The claim involved detailed analysis of video surveillance evidence in respect of the significance of which the experts disagreed. Significant damages were claimed and the claim was successfully compromised at a joint settlement meeting. Acting for the 12 year old claimant student who was assaulted by a teacher while at school causing minor physical but significant psychological injury. He became isolated within his community and withdrew from religious and cultural activities. He became electively mute as a result of PTSD. There was a dispute as to causation and it was alleged that the claimant’s allegedly dysfunctional family had contributed to a large extent to his symptoms. Difficult claim to quantify given the effect on the claimant’s schooling. Acting for the passenger in a car who suffered serious injury when the driver lost control on black ice. The claimant suffered significant injuries to his chest, lungs and spine. He was kept in hospital for 17 days. There was a substantial dispute on liability. The claim was compromised shortly before trial. Colin McDevitt summarises a recent High Court decision which serves as a reminder to practitioners to not leave amendments to pleadings until the last minute. A death in hospital which touched upon the prescription to the deceased of a drug called amiodarone, which is used for the treatment of irregular heartbeat. The Coroner gave a narrative verdict in which he made recommendations about the future use of the drug. A death in hospital of an alcoholic homeless man who suffered seizures. There was an issue concerning whether the deceased had suffered a pseudo-seizure, whether his liver function tests were abnormal and whether or not he had been adequately supervised while in a private side room. The narrative verdict recorded that although the deceased had vomited, which caused a decrease in his potassium levels, the deceased refused a drip. The cause of death was recorded as Sudden Unexpected Death in Epilepsy. A death at work where the deceased had driven a forklift truck while on the ground, using his hands on the foot pedals and steering by stretching upwards to the steering wheel. He was crushed by the forklift truck when he became trapped between it and pallets of stock in a warehouse. There were issues about training and engineering evidence which tended to show that the forklift truck could continue to be propelled forwards even when no pressure was applied to the accelerator.